Prince of Songkla University, the first University in southern of Thailand, was established in 1966 at Tambon Ruesamilae, Mueang district, Pattani province. 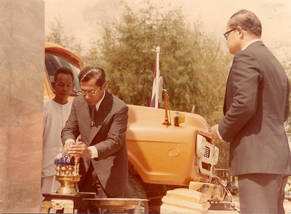 At the beginning, the University was named as "University of southern Thailand"
On September 1967, His Majesty the King graciously granted the University the name "Prince of Songkla University" in honor of his beloved father, His Royal Highness Somdej Chao Fa Mahidol Adulyadej Kromma Luang Songkla Nakarin. 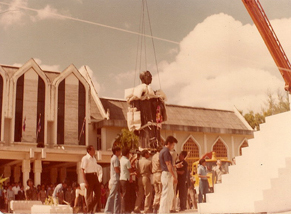 On March 12, 1968 the parliament passed Prince of Songkla University act, which became effective on March 13. Thus, Prince of Songkla University proclaimed March 13 as its "Foundation Day"
Prince of Songkla University aims to develop the southern region of Thailand following an educational plan by the foundation of economical and society growth, bring harmony and equality to people and be the source of academic service for both urban and rural communities.